A famous Tetsuharu Kawakami watchword was wa (harmony). The legendary Yomiuri Giants manager was famous for saying that individualism would destroy a team and that he would rather have a pitching staff of 10-game winners than three Sawamura Award winners. He demanded obedience and unity. Evidence of this manifested itself in 1965 when the all-time wins leader of Japanese professional baseball, Masaichi Kaneda, joined the Kyojin as a free agent at the age of 32, after rejecting an overture from the San Francisco Giants. Kaneda, a Japan-born ethnic Korean, had 353 career wins at the time, all while pitching for the Central League’s Kokutetsu Swallows, a perennial doormat and he was coming off a 27-win season. A tall, lanky, swaggering left-hander, he had but two pitches: a blinding fastball which he claimed hit 161 kph (although the radar gun to measure the speed of a thrown baseball had yet to be invented) and a big, breaking 12-6 curve, both of which he threw with exceptional accuracy. As the best pitcher in Japan, Kaneda also had a strong sense of entitlement, and with Kokutetsu, he did what he wanted. 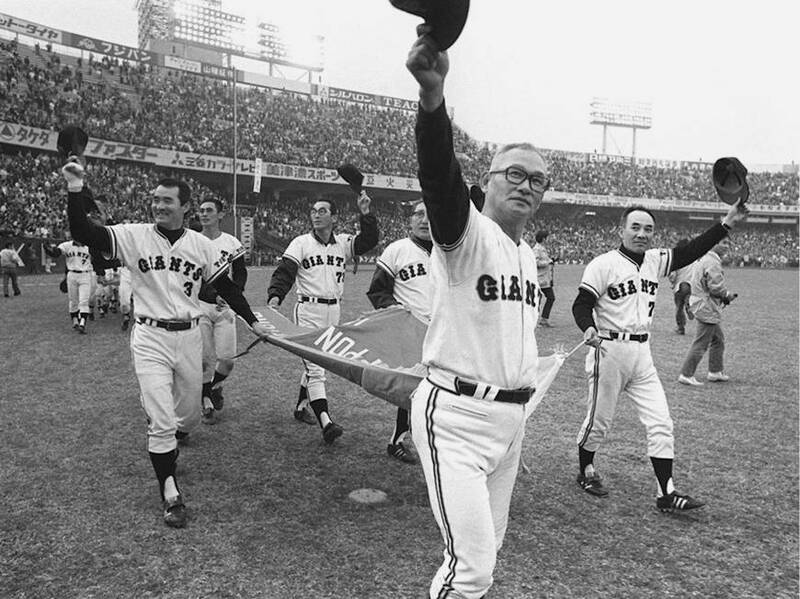 When he signed with the Giants and was asked about kanri yakyu (controlled or managed baseball) by reporters, Kaneda declared that with the Giants he was going to do things “my way” and reporters expected there would inevitably be some sort of clash between the two giants of the game. But as it turned out, training was not a problem, for Kawakami knew what he was doing. He was aware of Kaneda’s reputation, but he was also aware that although Kaneda did not advertise the fact, he was by far the hardest-working person in the game and indeed when Kaneda showed up in camp, as the oldest pitcher on the roster, he surprised his fellow Giants hurlers by doing more running, throwing and fielding than anyone else on the staff. These individuals, already accustomed to training hard under the notoriously strict Kawakami system, were shamed by Kaneda into stepping up their own routines. However, the real test came later. Kaneda broke his hand and went on the disabled list. After several weeks on the sidelines, he declared himself healed, fit and ready to resume first-team mound duties. But Kawakami would not hear of it. “I can’t just rely on Kaneda’s word that he is ready,” he told reporters. Instead, he ordered Kaneda to first pitch for the farm team to demonstrate that he really was in fact OK. Kaneda was flabbergasted. It was the only time in his great storybook career that he ever had to prove himself in the minor leagues, other than perhaps his rookie year in the pros when he was 16 years old and a high school dropout. Most observers believed the farm team dictum was Kawakami’s way of establishing his authority over the future Hall of Famer. Although Kaneda complained privately, he, in any event, had no choice but to do as he was told, however embarrassing it was for him. 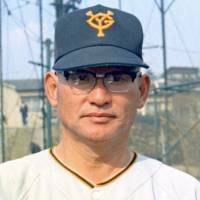 He threw a game with the Little Giants, as the farm team was sometimes called, and after the farm team manager filed his report to Kawakami giving the pitching legend a passing grade, Kaneda, suitably humbled, was called back up. 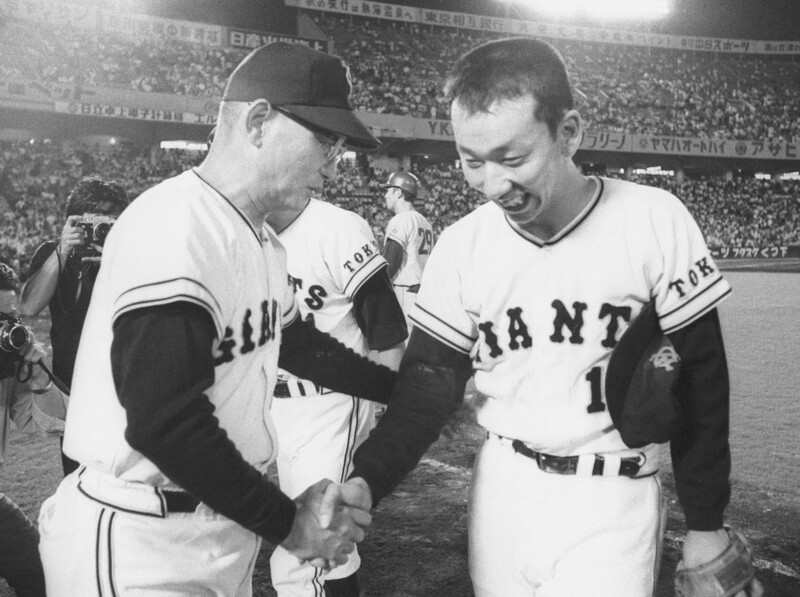 Kaneda stayed with the Giants for five years before he retired, winning 57 games to reach the magical all-time high of 400 wins. 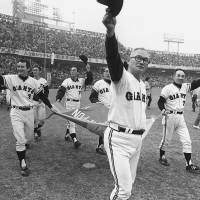 He was assigned by Kawakami to pitch the opening game of every Japan Series the Giants appeared in, regardless of how his seasonal statistics ranked within the squad. In another memorable incident, Kawakami slapped down a cocky 19-year-old pitcher named Tsuneo Horiuchi who had had a splendid rookie season of 16 wins and two losses in 1966, winning many post-season awards. Horiuchi, dubbed “Aku Taro” (Bad Boy Taro) by the sports dailies, was not particularly well-liked. He was disrespectful to his elders on the team, his bow not quite as deep and sharp as it should have been, and Yomiuri officials did not appreciate the disgusting way he continued to spit on the mound before each delivery, despite admonitions to stop, because it looked bad on television and was not good for the team image. Within the team he was a source of conflict. He was caught breaking curfew many times, unconcernedly enduring the physical punishment that followed each infraction. He reported for camp out of shape, having coasted through voluntary training in January. Kawakami dispatched him to the minors and kept him there. The winner of the Sawamura Award for best pitcher in baseball the previous season was to prove himself all over again on the farm team as if he were the rawest rookie. Horicuhi was required to endure every back-breaking drill the Giants coaches demanded for two full months and also to perform a formal bow of apology (head on the floor) for his initially poor attitude, before Kawakami would let him come back up to the first team. 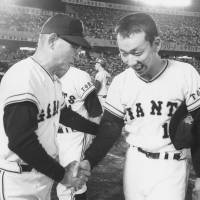 Kawakami gave Horiuchi another lesson in humility early in the 1973 season, when the Yomiuri manager removed his ace, coming off a 26-9 mark the previous year which had earned him a second Sawamura Award, in the fifth inning of a game with two out, nobody on and the Giants ahead by 10 runs, thereby depriving Horiuchi of credit for the official win. It was something no MLB manager would ever do, especially with the most valuable pitcher in the game on the mound, but Kawakami thought Horiuchi was not bearing down and needed to be put in his place. 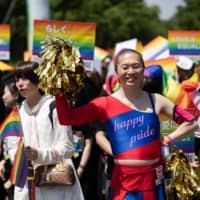 Horiuchi was visibly surprised, but he did not protest. Such behavior prompted some players to compare life on the Kawakami Giants to a prison camp. In an interview with the evening daily Nikkan Gendai on Nov. 1 this year, Yoshimasa Takahashi, who joined the Giants in 1973 from the Toei Flyers, had this to say about his experience. “The atmosphere on the Giants was something else. The mood in Miyazaki camp was much more tense than it was with the Flyers. Everyone was so focused you never heard anyone even crack a joke. It was forbidden to drink alcohol at dinner and there were bed checks at curfew time. Break the rules and you were fined. “At Toei Flyers’ camp when practice was over, we would sit down and play mahjong with our uniforms still on. Sometimes we would drink all night and then go play the game. It wasn’t that rare a thing. During the V-9 run, the Giants were hugely popular. Everywhere they played drew capacity crowds, including over 45,000 a game at their home park, Korakuen Stadium, and every game was telecast nationwide, usually during prime time and earning the No. 1 spot in the ratings. There was a saying during that era that Japanese loved three things, “Kyojin, (yokozuna) Taiho and Tamagoyaki,” and it was calculated that one out of every two people was a Giants fan, although the continued success of the team did cause a strong “anti-Kyojin” faction to arise within the land. The popularity of the Giants was largely due to the “O-N Cannon,” as the Sadaharu Oh/Shigeo Nagashima duo was called, two of the greatest players in the history of the game in Japan, but the team’s repeated success was due to something else. 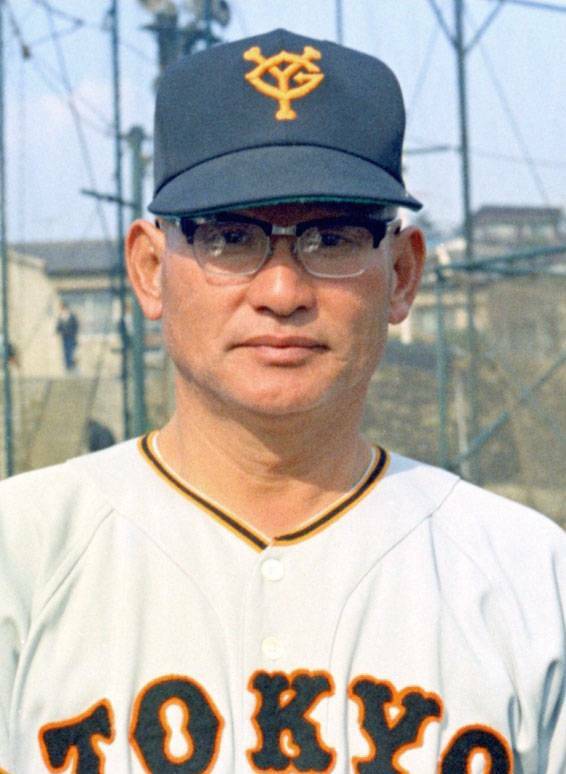 Said Shigeru Takada, who played outfield for the Giants during their V-9 era, “I don’t think any other manager could have led the Kyojin to nine titles in a row. He is the one who set the mood. He kept the players on their toes. He hardly ever lost his temper or shouted at anyone. But he didn’t have to. Kawakami did have his detractors, however. American observers believed that he overworked his star Horiuchi, using him as a starter and in relief, to help him win pennants and, in the process, put a premature end to Horiuchi’s career. In the 1972 season, for example, Horiuchi had appeared in 48 of the team’s 130 regular-season games, pitching 312 innings. Two years later, he appeared in 46 games, throwing 276 innings, He approached those totals in other seasons. This combined with the near daily pitching practice all pitchers on the Giants were required to do, including the occasional nagekomi (or marathon pitching session of 250-300 pitches), resulted in arm trouble and Horiuchi was essentially washed up by the age of 28, years ahead of MLB counterparts. In the American view, it was unjustifiable abuse. 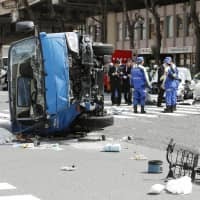 In the Kawakami view, however, it was simply doing what was necessary to keep the Yomiuri machine going. Individual goals and career longevity were secondary. Under the reserve clause rules then in place which bound a player to a team as long as that team wanted him, Horiuchi had no choice but to grin and bear it. Kawakami was not unique in how he used his pitchers. Other managers in Japan overworked and overtrained their pitchers as well, often causing early retirement. But the harsh training methods of the Giants, glorified in the popular “Kyojin No Hoshi” (Star of the Giants) anime series, in which Kawakami played a featured role, came under wide-spread public criticism in March 1973 with the death of a 20-year-old pitcher named Toshihiko Yuguchi. As discussed in a Japan Times article earlier this year, Yuguchi was unable to tolerate the daily physical and verbal abuse he underwent as a farm team player in the Kawakami system, suffered a nervous breakdown and was forced to enter a mental hospital where he suddenly died of heart failure. One magazine investigation concluded it was a suicide. When asked to comment on Yuguchi’s death, Kawakami was coldly unsympathetic. “The victim here is Kyojin, who wasted so much money on him,” he said. The ensuing backlash was considerable. 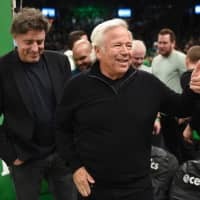 It convinced four players drafted by the Giants in the annual post-season autumn draft to sign with other teams, and that included the Giants’ first pick. Yet the Giants system went on as before. Editor’s note: The third part of Robert Whiting’s look at the legacy of Tetsuharu Kawakami focuses on the baseball legend’s career and overall influence on the game. It will run the day after tomorrow.